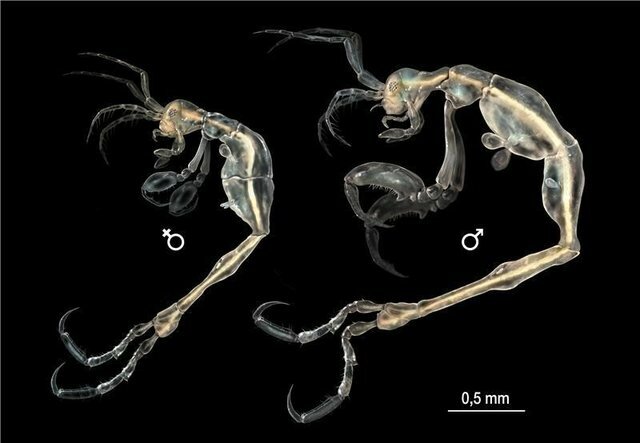 A team of researchers, led by Dr. José Manuel Guerra García, have announced the discovery of a new species off the coast of California -- this tiny crustacean, dubbed Liropus minusculus. Though it seem more at home in the pages of science-fiction than in annals of biology -- such a finding proves yet again that the realities of Earth's rich biodiversity can outmatch even our wildest imaginings. And there's still much more to discover. It is estimated that we know only between 5% and 10% of the species that inhabit our planet, therefore taxonomy is crucial for characterising global biodiversity. Over the last ten years, Dr. Guerra has described eight genera and 62 new species for the science of caprellid crustaceans. This is merely one example of everything that is yet to be discovered.